We slept a lot today since we missed a night of sleep getting over here. 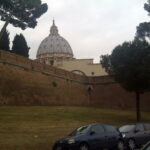 Again we our daily brisk walk around a WHOLE COUNTRY — the Vatican City State. 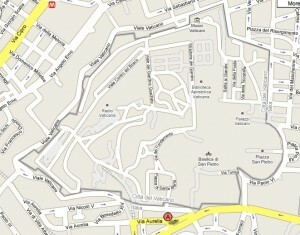 If you follow the gray lines on the map to the right you can see the walls extending around the Vatican. 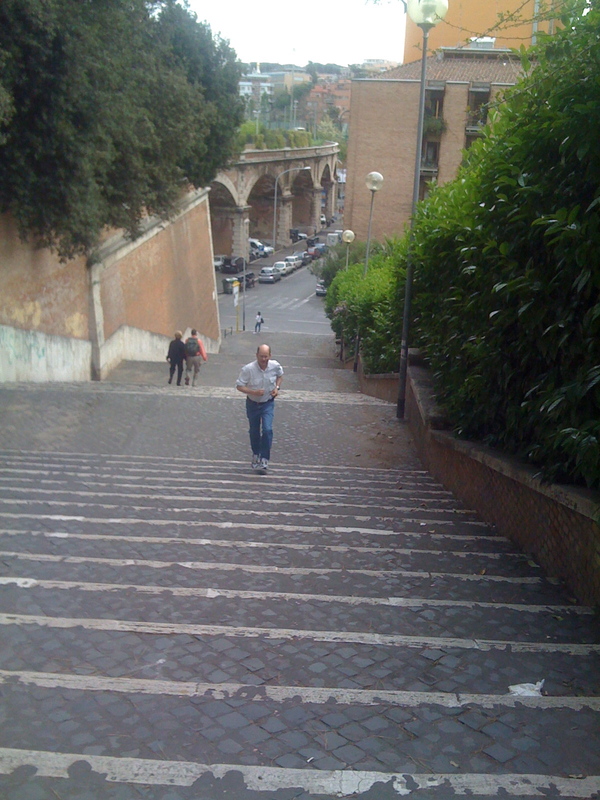 It took about an hour since we took our time along the way — including time for me to run up and down some lengthy steps for additional exercise. 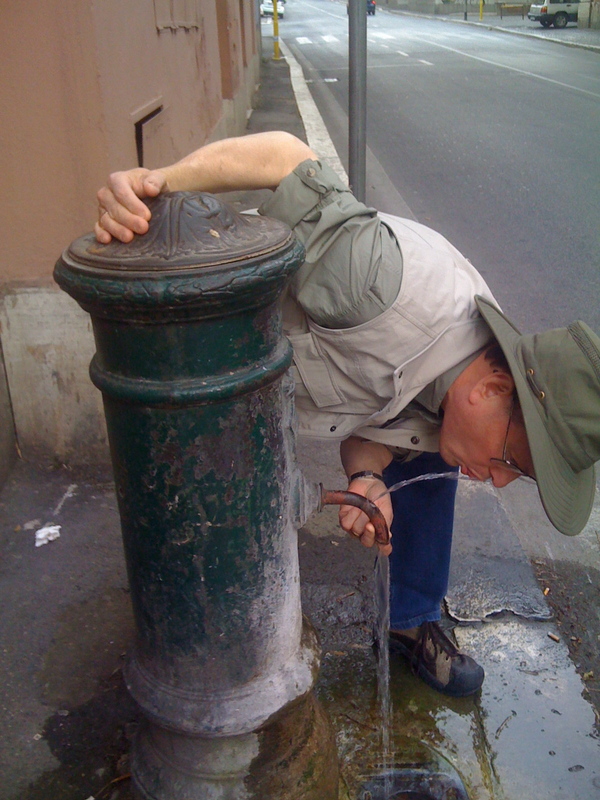 Notice also the picture which shows me demonstrating how to turn the many springs into delicious water fountains. It is kind of fun to think we just walked around the perimeter of a whole country. It may be geographically the smallest city in the world, but it is also the largest city as far as importance! 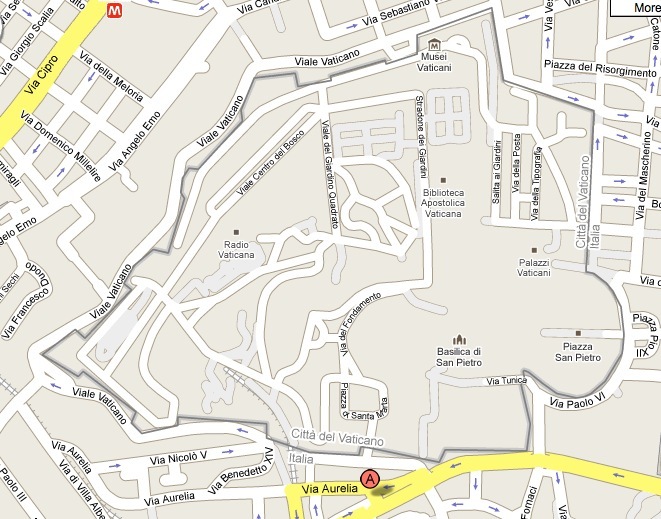 The “A” on the map marks our favorite restaurant in Rome — La Pilotta Di Mario. If you ever eat here say hello to Max and Maria for us and notice our recommendation framed on their wall, with a picture of our family eating here. 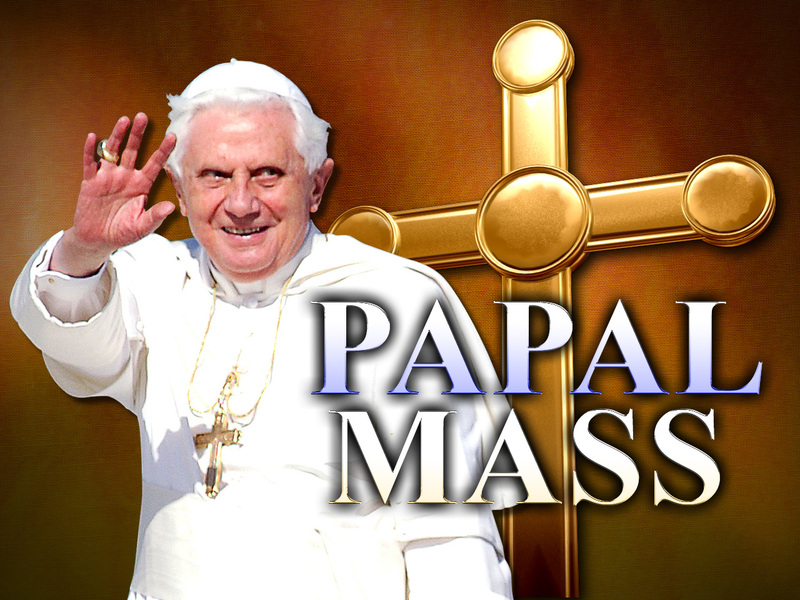 Tomorrow is Sunday so we will attend Mass at a gorgeous church down the road (pictures tomorrow). 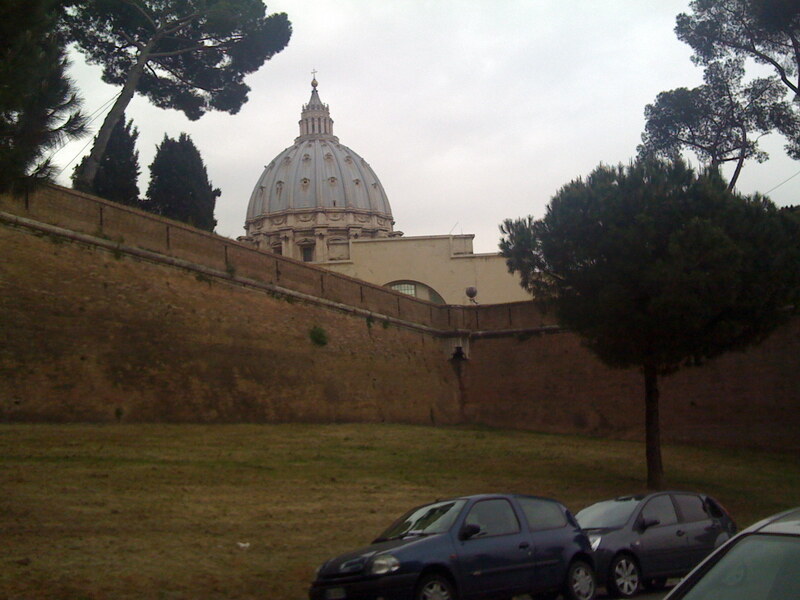 Then we will walk around the Vatican again before fine-tuning my ten talks I will give at the Apologetics conference this week. Keep us in your prayers. Tickets for Papal Mass in Bethlehem!! Our May 8-17 Pilgrimage group now has tickets to celebrate Mass with the Pope in Manger’s Square in Bethlehem due to the kindness of a good friend of mine who lives in Bethlehem. 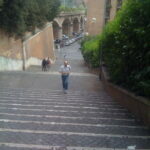 He is a Palestinian Catholic and a deacon in the local parish. It is NOT TOO LATE to join us! We have a few seats left! Contact Suzanne at 1-800-727-1999 or at sparran@ctscentral.net.